With the end of the summer season coming soon, I am trying to squeeze out the best of summer in these last few weeks. This is a great time to buy vegetables like zucchini and bell peppers, because there is an abundance of these in the markets right now at great prices. So the other day I made this as a dinner. 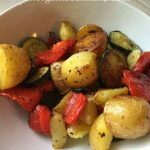 It makes a great side dish too, but I also like it as a healthy dinner option. I just love how good my kitchen smells when they are roasting and I can just let them cook for a while. 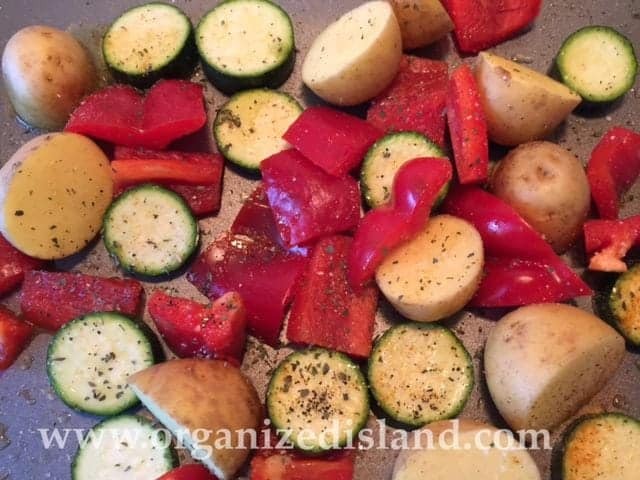 They are so simple to make and you can prepare some of the vegetables ahead of time. I used baby potatoes, but you can use russet or red potatoes too. They are such a colorful and savory dish with the sweetness of the bell peppers. Really good any time of year. A tasty and inexpensive side dish. Great in late summer when zucchini and peppers are priced-well. A nice savory and smokey vegetarian dish that is great as a meal too! 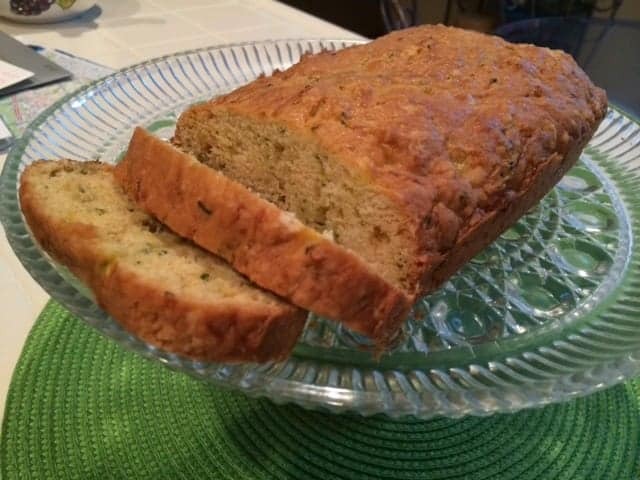 What is the last thing you made with zucchini? I love the stacks. We have bell peppers growing in our garden right now although no zucchini this year. That makes me sad! I love it. I think we get it through our CSA, though. How wonderful that you grow your own bell peppers Tamara! You are so lucky to have a garden! Thanks Ashely, me too! Love it when it practically cookis itself! Love this idea! I’m a huge zucchini fan and I cook with bell peppers more than most of my family enjoys but I just don’t care because I love them so much. 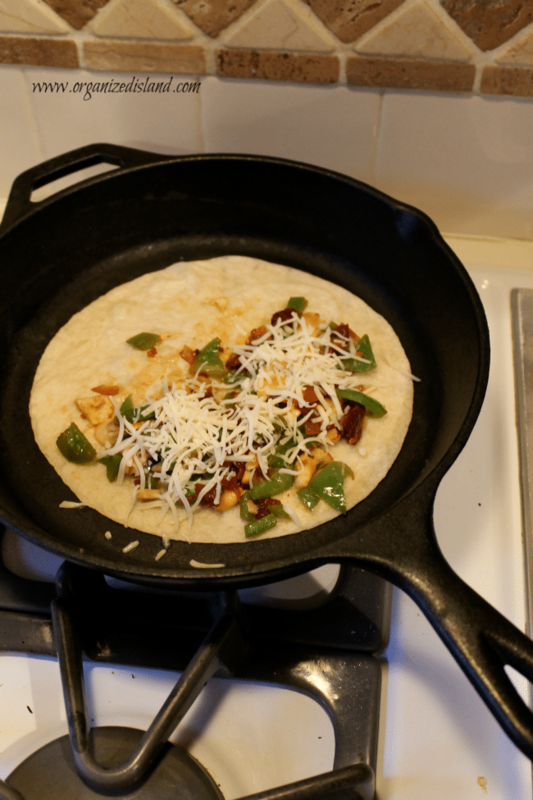 I”ll have to try this next week when I make enchiladas. I think that last thing I made with zucchini was a taco zucchini boat recipe I adapted from Persnickity Plates on my food blog – so good too! Yay for zucchini fans! 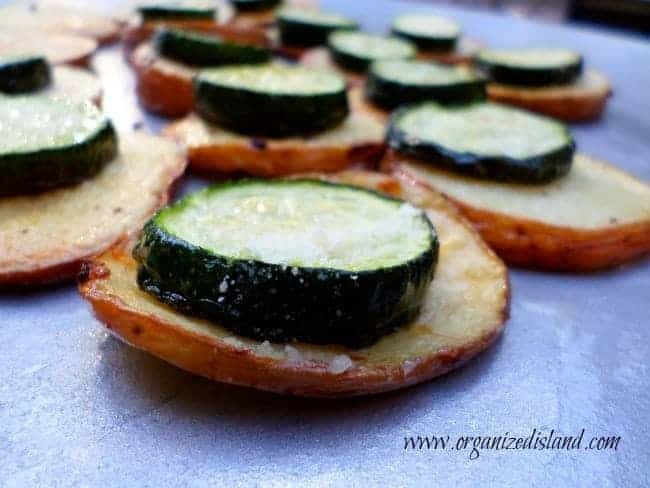 Those zucchini boats sound really good! Will have to try them! Thanks for stopping by. Looks delicious. I love roast vegetables. I do tend to add too much salt to my potatoes but I love it that way! I like a bit of salt on a lot of things too Maria. 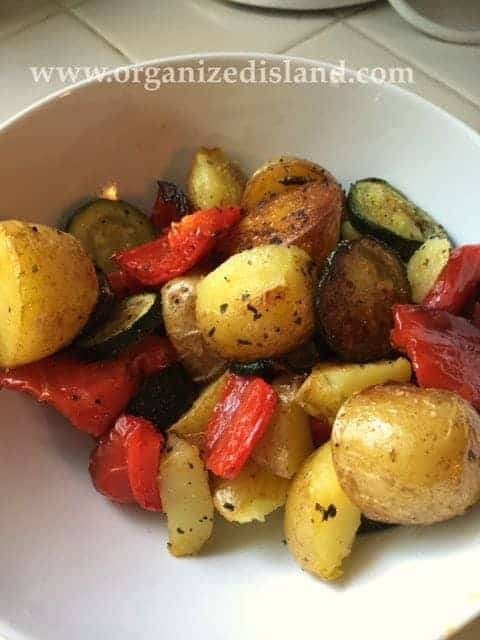 Roasted vegetables make a wonderful side dish or main dish to any meal.